Amy Halloran lives with her family in upstate New York. 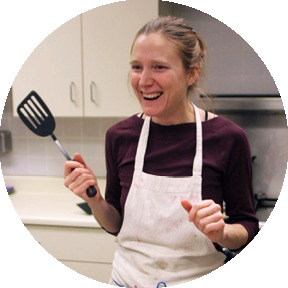 She teaches writing and cooking classes and cooks for a community meals program. Her books, The New Bread Basket: How the New Crop of Grain Growers, Plant Breeders, Millers, Maltsters, Bakers, Brewers, and Local Food Activists Are Redefining Our Daily Loaf, grew out of her lifelong devotion to pancakes.